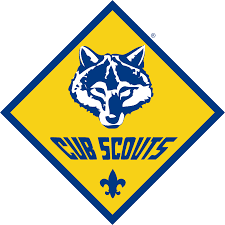 A new Cub Scout Pack is starting up in LFP. Join Chief Seattle Council, and the leadership of Aurora District at 7:00pm on Tuesday, June 12, 2018 at the Lake Forest Park Elementary School gym. 18500 37th Ave NE, Lake Forest Park. There will be an informal gathering for those families (Boys and Girls going into Kindergarten thru 4th grade this fall) interested in joining Cub Scouts this summer and next year. We will be having a very quick presentation of basic information and the opportunity to sign up, so your son or daughter can go to resident camp and/or day camp this summer and future plans to start this Pack back up. While the adults gather, the kids can play some games and meet some Boy Scouts. From 7 thru 7:30pm they will discuss what the Cub Scout Program is and the benefits it offers everyone in the family. We will answer any and all questions as well as enrollment forms and be finished around 8pm.